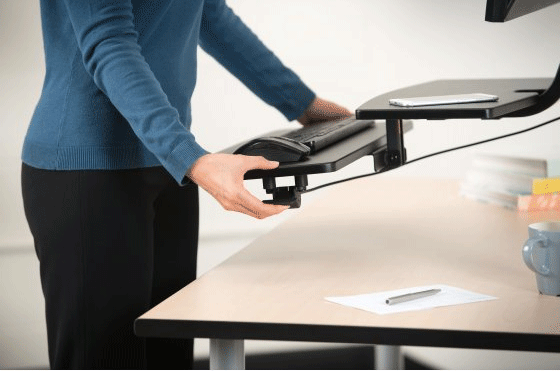 SmartFit Sit/Stand Workstation lets you easily convert your traditional desk it into a standing workspace, giving you ergonomic and health benefits. 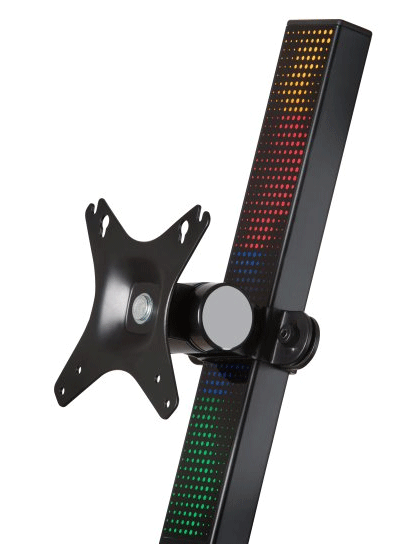 It installs quickly and requires minimal changes to your current setup. Our patented SmartFit System lets you find your personal comfort color and set the workstation to the ideal height for your monitor and keyboard/mouse platform. 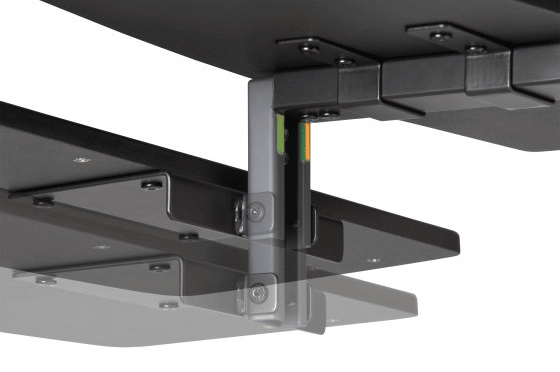 A pneumatic lift and articulating arm let you quickly transition from sitting to standing and adjust the unit from side to side. 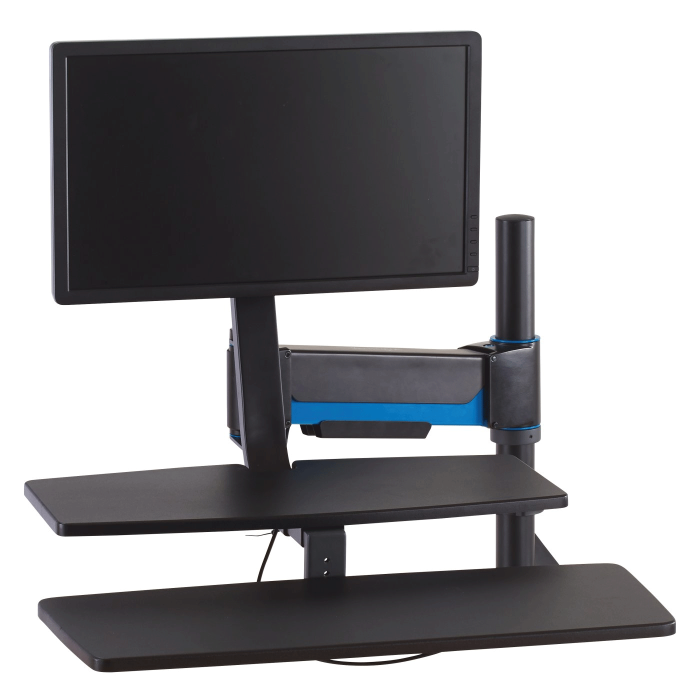 Secondary Platform: Situated above the keyboard/mouse platform, the platform saves space on your desktop and offers a convenient location for commonly used accessories to help you get more done in less time.